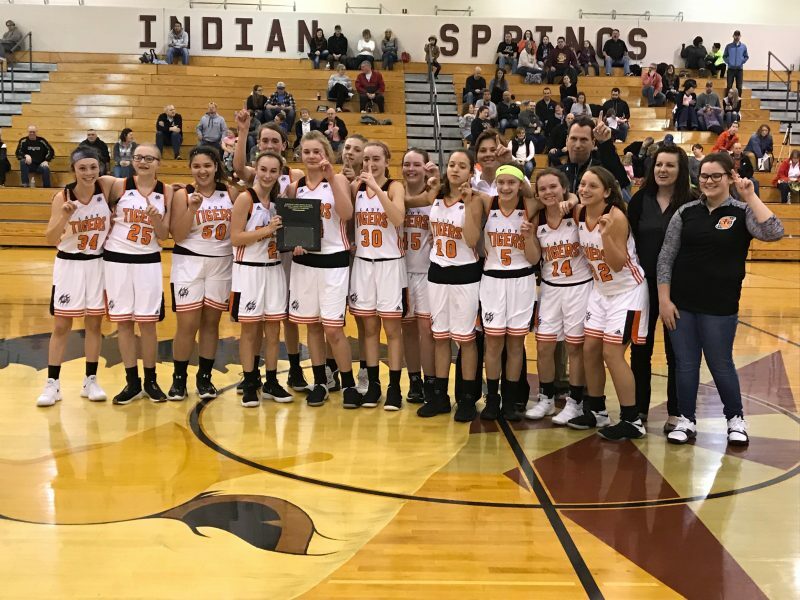 COLUMBIA CITY – The Lakeview Middle School 7th grade girls basketball team capped an outstanding season in championship fashion Saturday. The Lakeview ladies notched a pair of wins to claim the NELMSC Tournament Championship. Lakeview edged past city rival Edgewood 23-21 in the championship contest. The title tilt was tied at 10-10 at halftime before Lakeview used a 9-2 run in the third quarter to take the lead. Macey Perry led the way for the champions with eight points. Macy Wayne had six points and Lauren Grose scored four. Lauren Eastwood had three points and Rylee Boren hit a pair of key free throws. Lakeview defeated Bremen 37-8 in a semifinal game. Grose led the winners with 10 points as 10 players scored for Lakeview. Tessa Graney had six points and Wayne, Eastwood and Boren each had four points. Riley Burns, along with Perry, Viv Zambrano and Kinsey Atkins each had two points and Jules Leininger one. Lakeview, which finishes with a record of 14-1, won the conference title for the first time since the 2008-09 season.